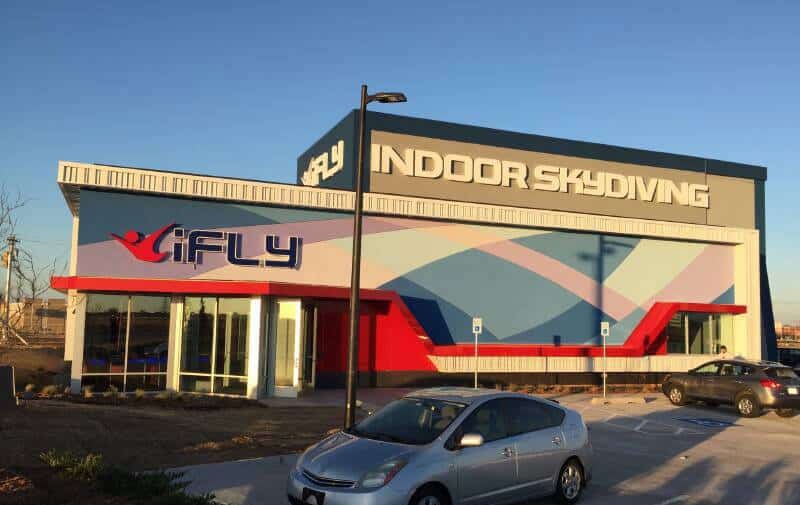 iFLY has brought indoor skydiving to Oklahoma City. 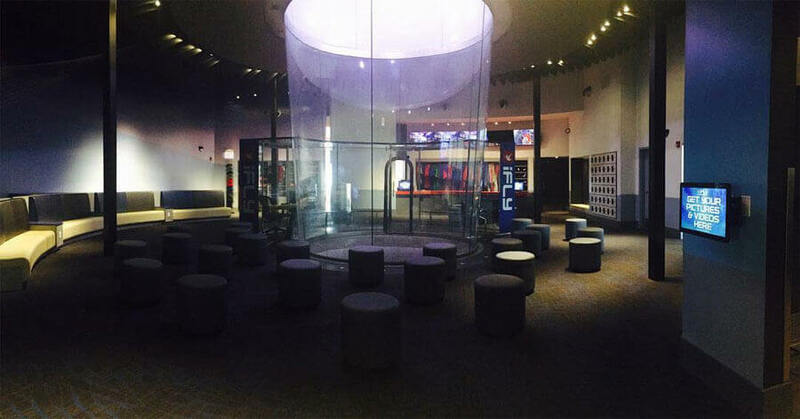 The tunnel which opened on Feb, 12th 2016 is part of the new entertainment offerings at Chisholm Creek. This development features all types of entertainment, shopping, dining and recreational activities. Average rating of 4.4 from 9 review(s). 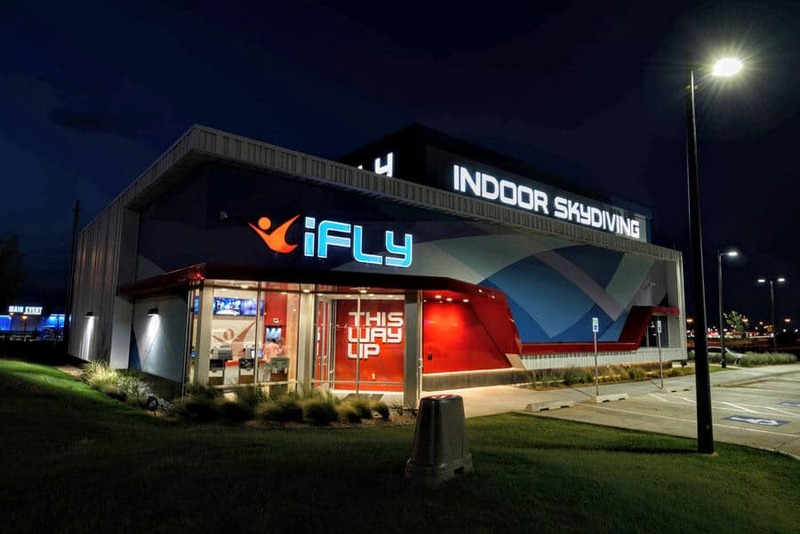 Our family of 4 came into IFLY, we purchased the videos of all of our flights. After getting home we realized that one of the downloads wasn't working. I called the store and a very helpful female named "KINSEY" was able to trouble shoot and saved the day! 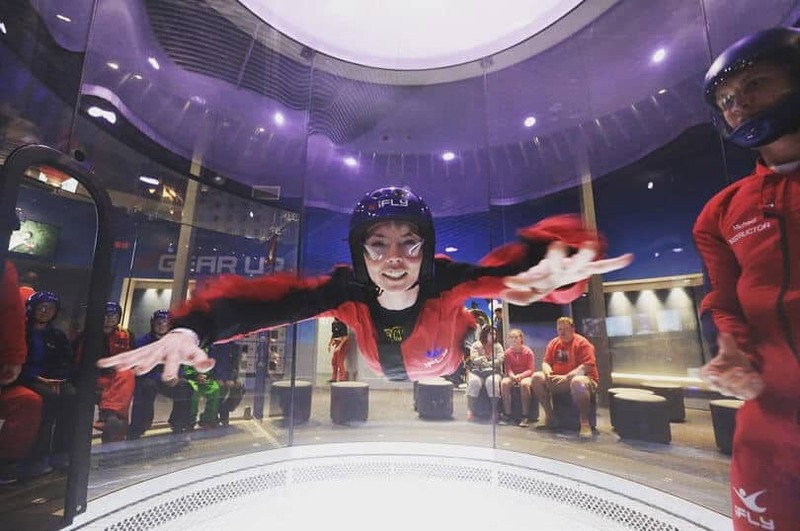 Kinsey, is an example of customer service that expedited worried customers into reassured happy customers that will be back to IFLY again for sure! Update: Before reading the review below, please note that the manager reached out to us to refund our $20 rebooking fee and sent us additional pictures and videos from our flight after our review was published. That was extremely thoughful of them and I applaud their willingness to put the customer first in times of miscommunication. As a business, they definitely did not have to reach out to us, but it shows great customer service and I am very impressed with them taking the lead and the time to contact us. Thank you, Shelly, for reaching out and making the experience better for us. I'd recommend just jumping out of a plane...This place is extremely pricey for even the minimum and then they try to up-sell like crazy. The manager, Shelly is her name, is very rude and almost ruined the experience for us. Absolutely no customer service skills and very unprofessional from her attitude down to her gigantic distracting hoop nose ring. You must arrive AN HOUR before your schedule time or else you will be charged $20 to rebook. The hour is so you can be sure to watch a 6 minute safety video and spend 5 minutes going over the video with your instructor (and waiting around for 40 minutes in the process). Dont expect to learn any flips or be able to go higher than a few feet, no... thats extra money and requires more bookings. 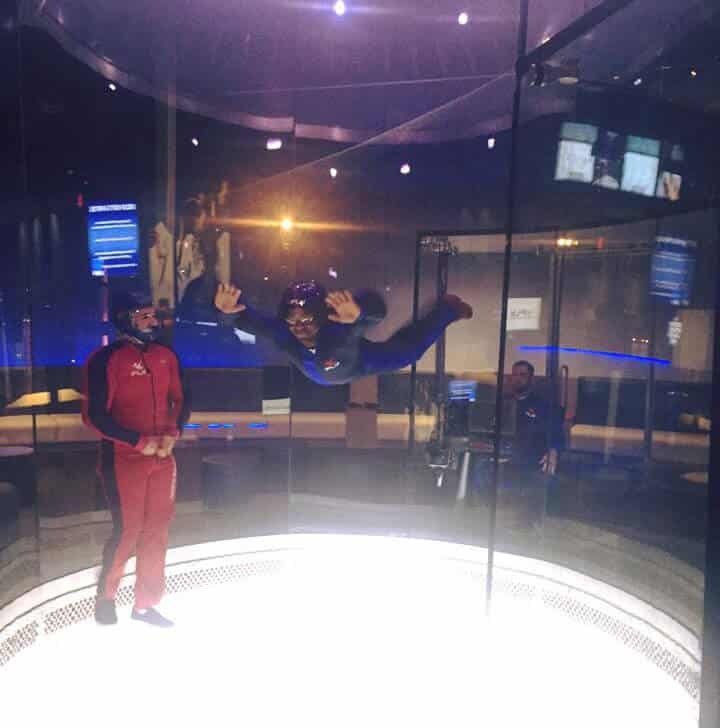 After your flight, the instructor ropes off the exit so you can't leave, then goes in the wind tunnel and does tricks so they can try to sell you more lessons. It was an interesting experience, way too expensive, the manager needs a new job because she obviously hates this one, but overall my fiancee had a good time. Because of its uniqueness, I give it 3 stars, however, take your money and spend it on the real thing. This place was not worth it. I had so much fun, but the manager we absolutely the rudest person ever. She almost ruined the experience for 11 people. I would recommend going somewhere else to not have to run into her. This was a first for me! I was scared spit-less and had the time of my life. So much fun ... staff is awesome ... instructions are excellent! Put this on your bucket list!!!!! For the time it is an EXTREMELY expensive!! Then they try to bilk you out of an extra 20. Then ask for tips. Spend the money and jump out of a plane. Me and the hubby did this in Houston last July , it was amazing!! Soooo glad one is in okc. if you have the money it is soooo worth it!!! It is hard but very fun! !